The Diocese of Parramatta has announced a new 2,000-student, multi-campus high-rise school to be opened in Parramatta CBD. Parramatta’s population is projected to grow exponentially over the next 10 years, putting further pressure on a school system already struggling to provide enrolments for students. The new project, due to open in 2020, will be known as the St Patrick’s Quarter and will cater for preschool to post-HSC. In recognition of parents’ busy schedules and the ‘anytime-anywhere’ nature of learning, the school’s operating hours will run between 6am-6pm and include pastoral and community support. The school will also offer different curriculum, STEM subjects, open learning spaces and Project Based Learning (PBL), using data to better identify areas for students’ academic improvement. 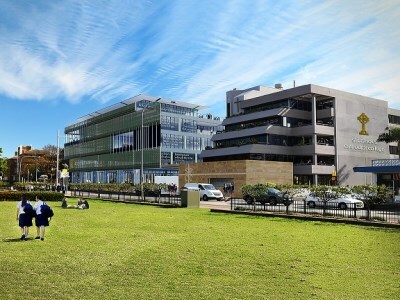 Diocese of Parramatta Bishop, Vincent Long, said that St Patrick’s Quarter will “energise” the area and offer enhanced services and support to local families and the community’s most disadvantaged and vulnerable people. “St Patrick’s Quarter will provide an exciting opportunity to bring many of our Catholic entities under the one roof, so that we can do more and be more together. Entities such as CatholicCare, Catholic Youth Parramatta, Catholic Education Diocese of Parramatta provide wonderful services to the community,” he said. The planning process will focus on the needs of the community and will reflect the principles of collaboration and sustainability. Priority will also be given to ensuring there is sufficient recreational space for students. The Church is also committed to working constructively with the City of Parramatta Council on a robust and viable traffic management plan. Pending regulatory approvals, St Patrick’s Cathedral College is scheduled to open in 2020 with the other components of St Patrick’s Quarter to follow soon after. In February, the Diocese opened St Luke’s Catholic Learning Community, located in Marsden Park, which became the first western Sydney school to operate from 6am through to 6pm. The school is just one of 79 others undergoing transformation. In a recent interview with The Educator, Greg Whitby, executive director of Catholic Education in the Diocese of Parramatta, said these are just some examples of how the Diocese is transforming the learning model in Western Sydney. “The current model we have in NSW was designed in the 1950s and 1960s and has had its day. It’s outdated and is beyond fixing,” Whitby said, adding that it was akin to “fixing up a steam engine to fly to the Moon”. “We need a whole new model, a whole new transformation of learning,” he said. Whitby said human progress has always occurred when people and societies worked together in constructive collaboration. “Six years ago, Parramatta implemented a student information system that allowed teachers and schools to assemble comprehensive student data in one place so that the collaboration between teachers, students and parents could happen with reliability and ease,” he said.